So you have a great business idea, you’ve done your research and due diligence, you know your market and you are good at what you do. What could go wrong? Many small business owners and entrepreneurs begin their first foray into self employment neglecting some of the most crucial aspects of running a business. By the time they are up and running they are so busy with the day to day aspects of keeping their business ticking over that they can become overwhelmed at the time demands of invoicing, tax compliance and a thousand other distractions competing for their attention. Without the resources to hire a full time bookkeeper and little understanding of how to get their heads above water, many of these small businesses will founder having struggled due to lack of cash flow and poorly managed accounts. Generate and send instant invoices. Receipt payment via multiple platforms. Produce clear, concise reporting with multi-dimensional analytics. Provide real-time stock and inventory levels. Allow for multi-user interaction from remote locations. Interact with a range of industry specific Apps. Stay compliant with ATO and government legislation through automated updates to tax and payroll processes. Utilise Cloud based operation which reduces the need for bulky servers and enables staff to work remotely from their laptops or computers. Are you providing customers with a service, such as a trade or consultancy, or selling a product? Either way, you will need a professional, compliant and easy to use method to invoice clients and track payments as well as manage banking and inventory minutiae. Receiving payments and maintaining cash flow will be the life blood of your business. Provide customers with a choice of payment methods such as credit cards, BPAY and Paypal. Again this can be managed by implementing a strong accounting software program. For the self employed, software needs to be fit for purpose. As a sole trader you probably won’t be needing things such as payroll but you may require complex billing or inventory functionality. Unless you are taking over an established enterprise and have hefty cash resources, it is likely that you will require a loan to get the business on its feet. Before approaching a lending institution you will need to arm yourself with a business plan, financial credentials including assets, current loans and tax returns along with an accurate calculation of how much you will need, either as a loan or bank overdraft. Begin by estimating your costs including a contingency commensurate to your outlay. For example, if you plan to lease an office or warehouse, provision will have to made to cover monthly overheads should there be cash flow problems or delays in getting invoices paid. Scale your growth slowly to allow you to build a solid foundation with some healthy cash reserves, prior to increasing staff or office floor space commitments. Consider sub-letting warehouse space or other measures to rein in cash outlays until you are established. 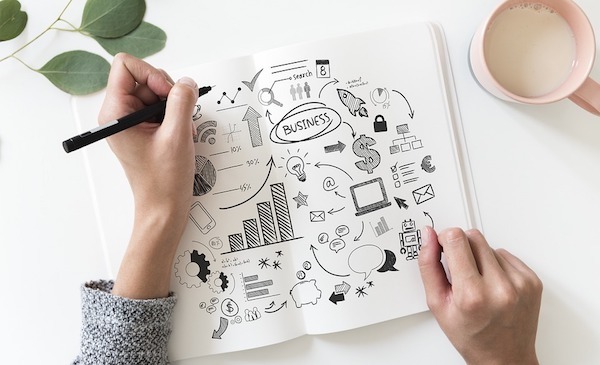 Consider what government initiatives are available to assist start-ups financially and improve cash flow such as the $20,000 instant asset tax write-off which is available until 30 June 2019. No matter what type of business or industry you are in you will need an effective marketing campaign. Some startups choose to market their businesses through online platforms such as Twitter, Instagram, or Facebook. Whilst these are a great way to promote your products or services and build brand awareness, a functional, well designed website is still a must-have to any business. Starting your business on the right foot with a solid foundation and a workable business plan is the ideal basis. Many eager new-business owners have gone before you – learn from both their successes and their mistakes. Surround yourself with good staff and look after them as they will form the structure from which your success hangs. Take the advice of one successful entrepreneur Richard Branson who advises to make employees your priority. Give them the tools to do their job well and you are well on your way to creating a workable and successful business model.